Ever thought about a road trip in Europe? Try France! The country will surely offer you an unforgettable road trip. France has a diverse landscape and a rich history you can discover. A very important thing you need during this road trip is obviously a car. If you are not able to drive to the capital with your own car, there are a lot of options for renting a car in Paris. When you book your car in advance, the car will be ready at the airport when you arrive, so you can start your trip immediately. This saves you a lot of time. Paris is the perfect place to start your road trip adventure. The Eiffel Tower, Arc de Triomphe, Louvre Museum, and the Sacre Coeur are just some of the iconic sights you can see here. If you have already seen these sights, you can go to the Montparnasse Tower which is one of the highest buildings in the city. The view is even better than the one from the Eiffel Tower. 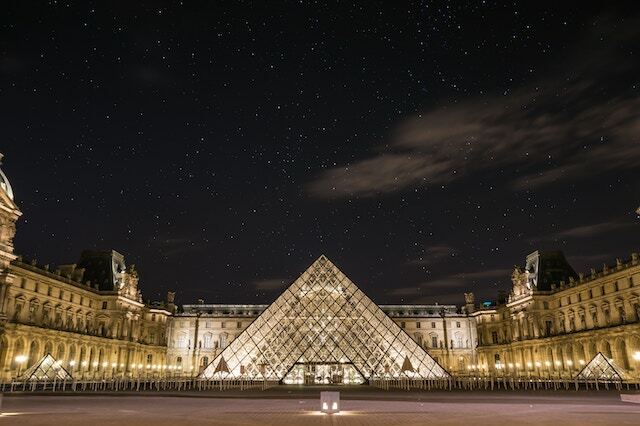 Other fantastic attractions include the Catacombs of Paris and Jardin des Plantes where you can see hundreds of exotic and beautiful plants and flowers. If you love modern art visit the Centre Pompidou. This region of France is famous for its fishing villages, old cities and impressive coastline with big rocks and beautiful beaches. Visit the region’s medieval cities and discover the traces of the Roman Ages. Bretagne offers some great opportunities for nature lovers, especially for hikers. The GR 34 which is 160-km walk has it all! There are also some great surf spots. If you want to just casually explore the area by car, don’t miss Rennes which is the capital of the region. The city has a lovely Saturday morning market. Keep in mind that you’ll need more than a day in Bordeaux. See the city’s beautiful bridges, impressive buildings, and small streets filled with cafes and restaurants. Bordeaux is famous for wine so pay a visit to a nearby winery and try some of the world’s best wines. medieval city center with beautiful museums and churches. Toulouse is France’s space capital, so once you are here don’t miss the Cite De L’Espace theme park. Thanks to the moonwalk simulator, you can train like a real astronaut here. The city has an interesting foodie scene too. The local specialties include goose liver, duck breast, and Toulouse sausage. If you happen to be in France during June or July, don’t miss Avignon and its festival. There are plenty of musical performances and outdoor theatres in the city. Avignon is famous for one of the largest and most important Gothic buildings in Europe – Palais des Papes. Just next to the palace is another famous tourist attraction – the Pont Saint-Benezet. Marseille is a cool and hip coastal city on the Mediterranean coast. It has beautiful beaches, impressive architecture, interesting museums, and great shopping malls. There are also plenty of creative spaces which are redecorated by young artists. See the Old Port of Marseille and the city center which is filled with wonderful cafes and restaurants. From the harbor, you can take different boat trips such as the one to the Calanques or the island of If. Nice is one of the nicest cities on the Côte d’Azur. It has a lovely city center where you can still feel and see the eventful history with Italian influences. Start your day at the Cours Saleya – a lively market where you can stock up on fruits and vegetables. You will also find some amazing flowers. Once you are done with the market, head to the Promenade des Anglais. Don’t miss the Castle of Nice which offers wonderful views of the city. If you want to discover other great things to do in Nice click here. If you have rented a car by EasyTerra, you can leave it from your pickup location or leave your rented car in Nice and fly back home. From skiing in the Alps to exploring fantastic Christmas markets, French cities offer plenty of things to do even during offseason. To help you narrow down your selection, we’ve compiled a list of 8 French cities to visit in winter. Provence is not the first region that comes to mind when deciding where to go during winter months. Most lodges and restaurants in the area are closed, except for a small charming town Cassis, which is located between Marseille and La Ciotat. The town and its vicinity offer some good opportunities for hiking, thanks to a number of GR footpaths (known as the Grande Randonnée in French). A path called Calanques is the most famous one, and it leads all the way to Marseille. Cycling and mountain biking are also possible. Cassis is very charming during Christmas time. The town has many interesting local traditions and visitors can enjoy sampling delicious desserts at the city’s Christmas market. At winter you’ll be able to see this Mediterranean gem in a totally new light. Colmar is a charming town which can be easily accessed from major French cities by TGV trains. The best way to explore it is on foot and with a camera in hand. The Dominican church, Unterlinden museum, and the Bartholdi museum are some of the most famous attractions in the town. 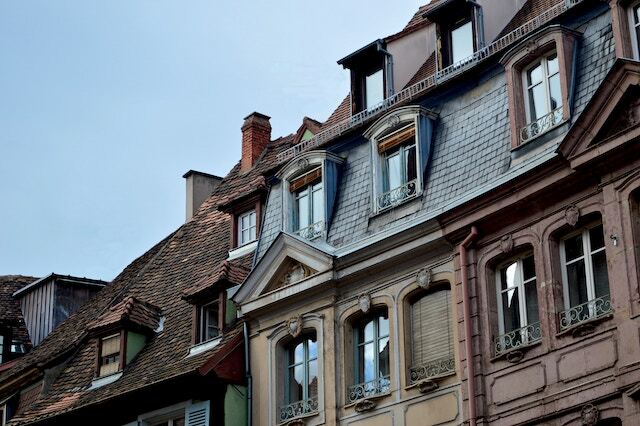 However, Colmar is mainly known for its wonderful architecture and narrow streets. That’s the reason why Christmas in Colmar is like something out of a fairytale. There’s a lovely Christmas market and the town hosts a number of open-air events and concerts. You’ll enjoy the lights, the smell of freshly baked ginger biscuits and mulled wine. It’s a great destination to visit with your partner because of the romantic atmosphere. Colmar has many gourmet restaurants, including a few Michelin ones. If you plan to stay longer, you can get a tourist pass which gives you free entry to 56 sites. Annecy is well-known for its magical Alpes Christmas event. The town hosts many concerts and offers fun activities such as a skating-rink. This event lasts for the whole month of December and it’s one huge celebration. The city’s architecture looks even more beautiful with all the lights. 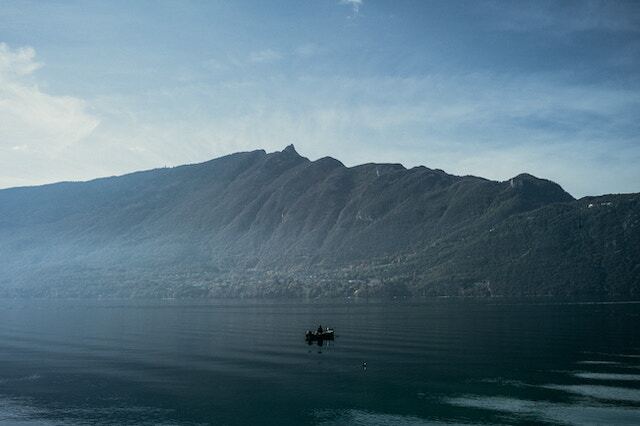 If you are into something more adventurous, the closest ski resort to Annecy is Semnoz, which is 20 minutes away. A lot of companies offer snow walks of the area too. If you would like to see Annecy and its lake in a totally new light, coming here during winter might positively surprise you. You can always warm yourself with a local mulled wine or hot chocolate! Visiting Nice during winter has its own special charm. There are no hoards of tourists and the city is much more enjoyable for exploration. And not just that! The art buffs will appreciate fewer crowds in the city’s museums and galleries. The Museum of Photography is one of the city’s highlights. Nice is also a fantastic shopping destination, with many discounts available during the winter sales period. In winter, the city is home to one of Europe’s greatest carnivals which takes place from February 17th to March 3rd. Blois is a lovely place, famous for its impressive castles. It’s easily accessible from Paris as the journey takes about one hour and thirty minutes. It’s small, compact and discoverable by foot, which makes it an ideal short break from huge cities like Paris. The most impressive attraction is the Château of Blois, which used to be the residence of several French kings. The tourist organization of Blois offers great maps with suggested walking itineraries which you’ll find very helpful. When here, don’t forget to try local chocolate. The production started in 1847 when Auguste Poulain opened his first shop in the city. Chamonix is one of the most popular tourist resorts in the Alps. It’s home to Mt. Blanc – the highest peak in Western Europe. Very close to Chamonix is the Mer de Glace glacier – a third largest in the Alps. The outdoor buffs will enjoy the possibilities for skiing and ice climbing. 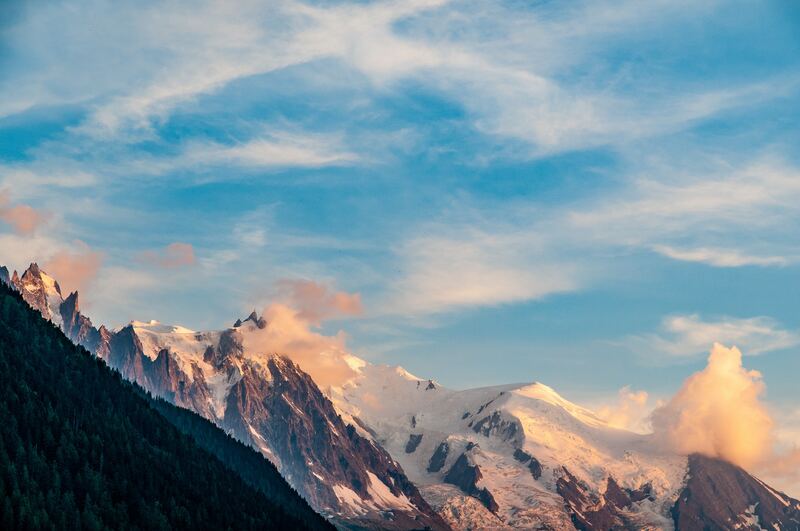 Chamonix is a resort known for advanced skiers, but if you are not one, worry not! You can explore the beautiful town and its main street Rue du Docteur Paccard, which is a pedestrianized zone. The town is filled with cafes, restaurants, and shops. There are various clothing stores, such as the North Face, Oxbow, Mammut, Colombia, Blue Ink, Lacoste and others. Chamonix has a wide array of international restaurants where you can sample the French, Japanese, or Italian cuisine. The options are endless. Most hotels have spas where you can relax for a small entry fee. Bordeaux is beautiful during the spring and summer months but there are still plenty of things to do here during winter as well. In recent years, the art scene became richer and new museums and galleries are opening up quite often. You can also visit Auditorium or the Opera National de Bordeaux and enjoy a concert of classical music. Bordeaux is another city with a lovely Christmas market which is located along the Allées de Tourny. It opens on November 24th. The market is great for sampling some nice desserts or wine, but also for doing some shopping. You’ll find the artisan perfumes, local wine, potteries, chocolate and more. If you prefer to sightsee alone, you can get a Bordeaux tourist pass. Paris is an amazing place to visit throughout the year, but during winter months it has a unique charm. The city is filled with many Christmas markets where you can try some delicious desserts or simply warm yourself with a cup of spicy mulled wine. The most famous markets are Trocadero and La Defence Christmas market. The city has many spas where you can escape the cold and relax for a couple of hours. If you prefer something more active, simply dress up well and go for a long winter walk along the Seine or explore Montmartre or the Marais. The city is simply magical during winter. Over recent year, France has really come into its own as one of the world’s top holiday destinations, especially for UK tourists. This of course comes largely down to the frankly brilliant transport connections to the continent which are being refined and stepped up year after year, but more so than ease of access to the country, Brits and others are just beginning to find out about so many of France’s long-time hidden haunts. In the summertime at least, the Midi-Pyrénées is the place to head for the very best weather in all of France and guaranteed sunshine. Well, almost guaranteed! It’s an area that’s bursting at every seam with incredible mountains, valleys and gorges which come together to present some of the most spectacular cycling, walking and camping opportunities anywhere in Europe. A true haven especially for the families, it can also be surprisingly cheap to rent a delightful hut for the week, or better yet bring along your own tents for further savings! One of France’s best-kept secrets is undoubtedly the country’s central Auvergne region, which presents no less than 80 volcanic peaks and boasts some truly spectacular landscapes. You’ll be able to explore the peaks of ancient volcanoes and climb the country’s largest for incredibly views – the Puy de Dôme. Of course, few places in France can promise quite the same quintessentially French experience as Brittany. Spend your days unwinding on the beaches or bring along the bikes and head out on an adventure – you’ll be spoilt for choice! What’s great for UK travelers is that Brittany Ferries are right now offering some great holidays with ferry travel included. Visit their website as they are currently offering 20% off holidays during school holidays. When it comes to the blending the bliss of the beach with the most astounding natural wonders in France, nowhere does it better than Argeles-sur-Mer. Here’s where you’ll see the Pyrenees finally giving way to the ocean, with a six-mile stretch of beach the likes of which is absolutely drenched in sunshine for the whole of the summer. Last but not least, for a heady blend of the best elements of the Côte-d’Azur without the clichés and the unnecessarily high prices, Menton is the place to head. Again blessed with stunning natural beauty and all the thrills you’d expect from any high-class coastal resort, Menton just doesn’t have that kind of snootiness you’d find if you holidayed a little further to the west. Instead, it’s all about family-friendliness, wonderful old-town streets to explore and that genuine feeling of discovery you just do not get from the more obvious French holiday hotspots. France is one of those countries that is ideal for cycling tours, primarily thanks to the extraordinary scenery, delicious food and growing network of long distance cycle routes. This makes France one of the biggest markets for cycle tourism in Europe and the world. Thousands of people, especially British families take holidays to France each year for no reason other than to lap up the amazing cycling opportunities on offer. Although with the size of the country and its abundance of stunning towns, cities and resorts, choosing the right route may turn into a difficult quest. The first thing to remember is that just as long as you head in the direction of France’s famed Voies Vertes, aka the Greenways, you’ll find yourself spoilt for choice with over 2,600km of wholly family-safe cycling paths and tracks. As such, you can take a look at the resort you were thinking of going to, locate the nearest Voies Vertes (the full map can be found online) and take the bikes out for a day you’ll never forget. Don’t be put off by the fact that the Loire à Vélo project measures in at 800km in total cycle path length – nobody’s saying you need to cycle the whole thing! A full two-thirds of the pathways between Saint-Brévin and Cuffy run right next to the stunning River Loire, making it the perfect choice for those wishing to take in the majesty of a few famous buildings and all manner of glorious little villages along the way. For those with a taste for all-things nature and for the perfect excuse to stop along the way and soak up the sun on the sand, there’s an amazing network of cycle routes at Le Bais de Somme which go through gorgeous grasslands, mudflats and right through to stunning sand dunes – all with a beautiful view out to the sea along the whole route. It is a bit on the hilly side in some places, but the good news is that your bikes at least travel 100% free of charge on the local railway – great for when those little legs have just about had enough for the day! Close to the border with Belgium, this beautiful area of greenery boasts an 85km stretch of the Voies Vertes and is, at least in an official capacity, certified as easy. From Givet to Charleville-Mezieres, you’ll be treated to a dreamy backdrop and stumble across pretty little regions apparently forgotten by time as the rest of us know it. Again, there’s a train service that runs the whole of the route, so no worries if you can’t handle the full length of it. Last but not least, it’s one thing to get out and about across France’s gorgeous countryside on the bikes, but what about those with a taste for cosmopolitan city living? Here’s your answer – the Piste du Canal L’Ourcq stretches from the lovely greenery of Claye-Souilly right through to Parc de la Villette in Paris.